The Lean Six Sigma applied research project was funded through a $107,299 grant. Photo: Participants in a recent training course that is part of the project. Dr. Jamison V. Kovach, associate professor and director of the University of Houston College of Technology Lean Six Sigma Professional Training Program has connected with Covia, a mineral and materials solutions provider for the industrial and energy markets. She is working with employees throughout North America to guide their implementation efforts. The employees are receiving training in the use of the Lean Six Sigma methodology (Yellow Belt, Champion, Green Belt, and Black Belt courses). 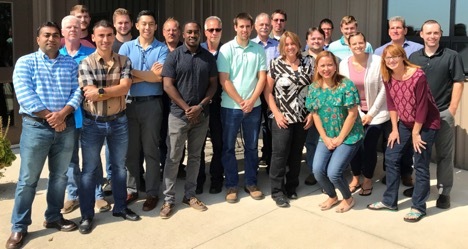 Kovach is serving as coach and mentor of their Lean Six Sigma projects to improve efficiency, reduce costs, and improve customer satisfaction.